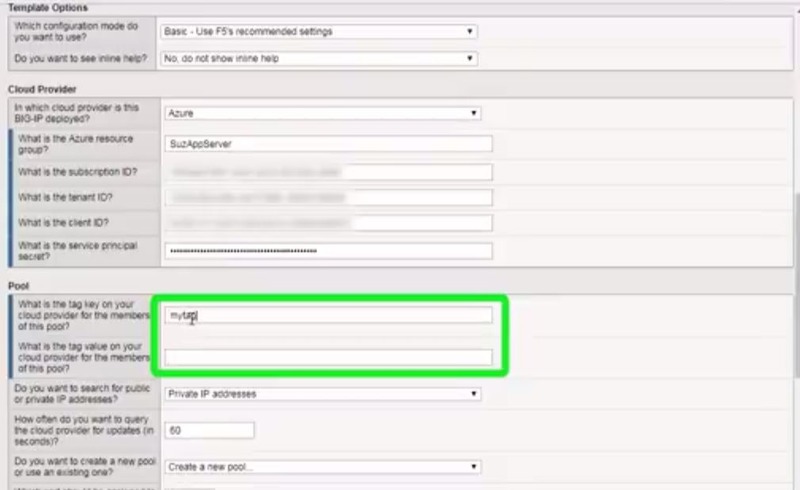 Let’s look at how to automatically add members to your BIG-IP pool by using the Service Discovery iApp. Whenever you deploy a BIG-IP Virtual Edition by using one of the templates on the F5 Github site, this iApp is installed on the BIG-IP. The idea behind this iApp is you assign a tag to a virtual machine in the cloud and then BIG-IP automatically discovers it and adds it to the pool. By tagging instances in AWS and Azure, and configuring the iApp, the pool is updated based on an interval you specify. This is especially helpful if you auto-scale your application servers because they are then automatically added and removed. 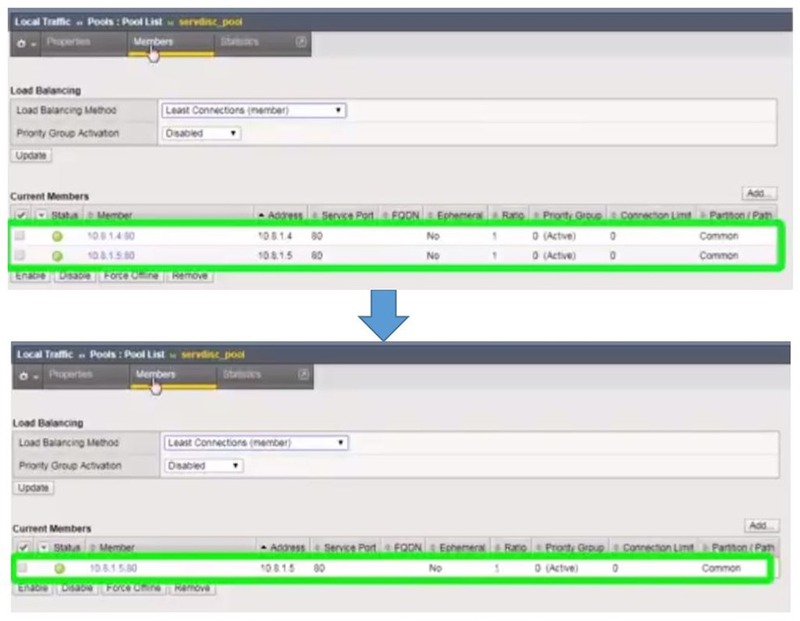 Today, we’ll look how to do this in Azure but you can also do this in AWS. First, we’re going to add a tag to the application sever in Azure. You can assign the tag to either the virtual machine or to the NIC. For auto-scaling you’d tag the scale set. For this we’ll simply add it to the virtual machine. When you click through the virtual machine, on the left you’ll get the ‘Tags’ option. For this exercise, we have two application servers in the resource group and already added the tags for that one. So at this point, we’re ready to get into the BIG-IP and configure the iApp. Once in, go to Application Services>Applications>Create. Next, we give it a name and choose f5_service_discovery from the list. Scroll down the same page and fill out the open fields. Under Cloud Provider, we select Azure. Depending on your provider, there are additional questions. 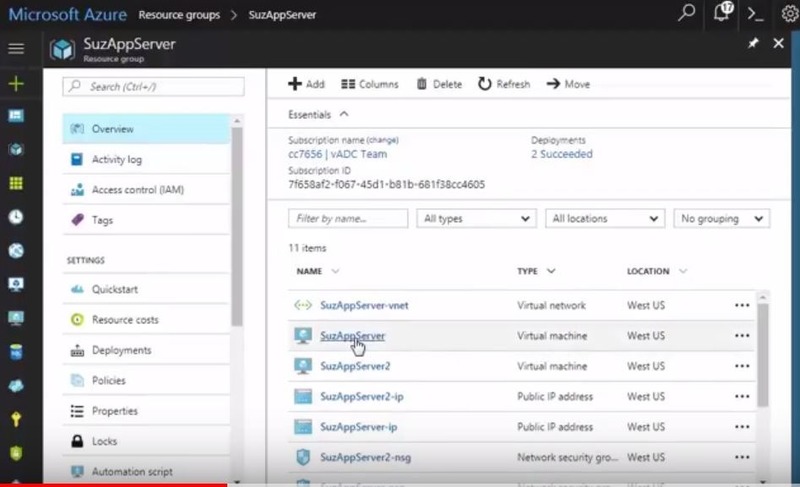 Add the Azure resource group and the Subscription ID. The next 3 fields (for the Azure selection) are security related: Tenant ID, Client ID and Service Principal Secret. Rather than using your own credentials to create and modify resources in Azure, you can create an Azure Active Directory application and assign permissions to that. Details are included on the Github ReadMe or the Azure documentation about service Principal. Under the Pool area, is where you enter the name/value pair that we used for the tags in Azure. We leave the rest default. In this instance, you may notice the update interval at 60 seconds. By default, 60 seconds is the interval that BIG-IP will query Azure to see if there is a resource with the tags you specified. Under Application Health, select ‘http’ as the health monitor. Click Finished. When complete, we can see we got a pool with two active members in it. If you take the tags off one of the instances, it’ll leave the pool. Of note however, there must be two members in the pool before you remove tags from an instance. If you remove the tags from all the application servers, the pool will not be updated. BIG-IP must see at least one set of tags to update the pool because it doesn’t want to leave you with an empty pool. Here’s the before and after of removing a tag. One final note. 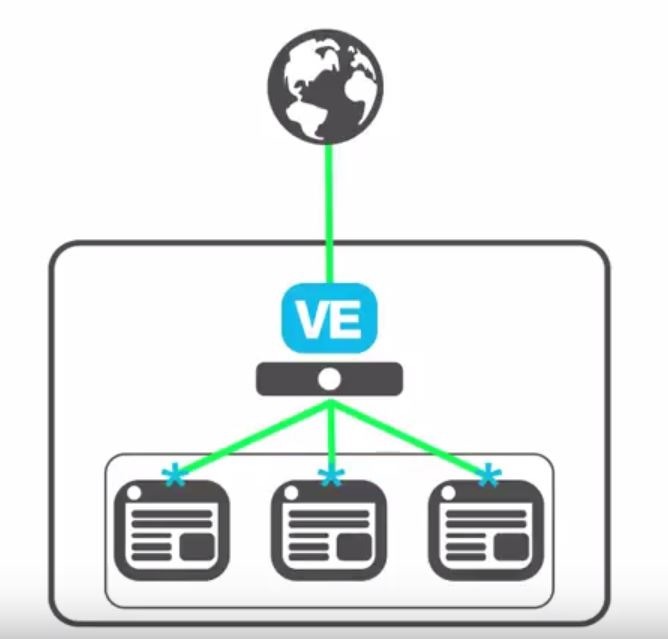 This example configuration has the BIG-IP in one resource group and the application servers in another resource group but they are all on the same Vnet. If you have separate networks in Azure, you’ll need to create a peering so they can communicate. Similarly, in AWS, you need to make sure the networking is set up so the BIG-IP can see the application servers. But, once the initial set up is working, there’s no manual intervention required. You can use the Service Discovery method to add and remove application servers all day long without having to manually update the BIG-IP. Again, and as always, thanks to our Technical Communications team for the great material and watch the video demo here.